When you begin shopping around for a new car, which features are most important to you? What about the fancy new sunroof? Buying a new car is an investment that people don’t take lightly. They often ask friends and family to weigh in about successful purchases they’ve made. These conversations are no longer limited to in-person chats with close friends. A huge amount of this interaction has moved online through blogs, forums, social media posts, and other sites. 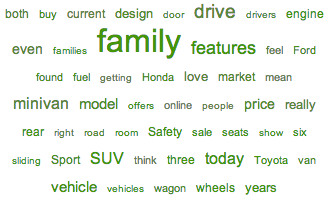 We aim to use this social data to see what people are saying online about family cars and first cars for teens. We looked into these six cars to see which make and model generates the most buzz online. 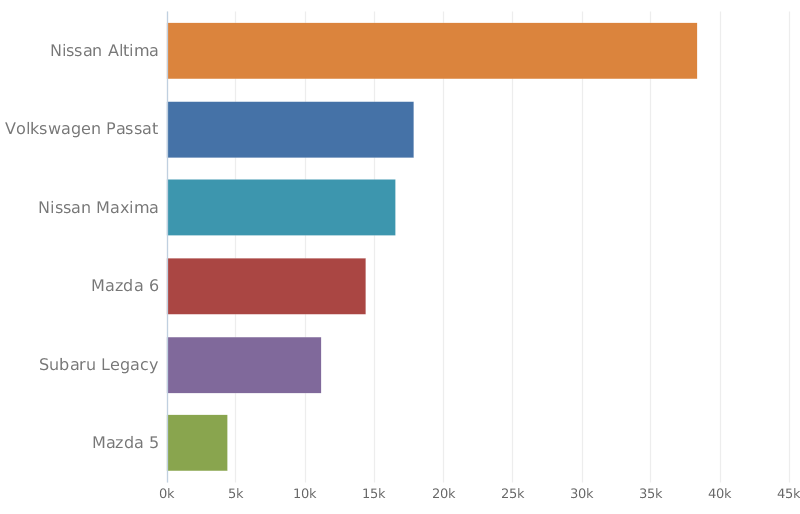 In the last year, the Nissan Altima is talked about the most overall, with more than 40,000 posts. The Volkswagen Passat follows with almost 20,000 posts. The least talked about vehicle on the list is the Mazda 5. Conversations surrounding all six of these cars are mostly positive, meaning families are pleased overall with the vehicles they own. 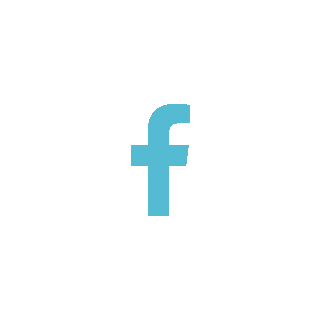 In Social Radar, topic clouds show important topics that are coming up within the discussion. The more important and relevant topics will be larger, and topics are colored based on sentiment of the documents they appear within. 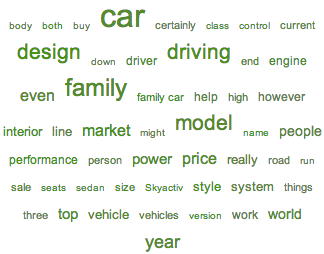 Something we noticed when looking into conversations around these models was the word “design.” You can see from the topic clouds below that the word “design” is mentioned positively within conversations of the Mazda 5, Mazda 6, and Nissan Maxima. When people are choosing a car to best suit their family, design plays a key factor. From this data, it is safe for us to assume that people with children are looking for spacious vehicles. Although autoguide.com did not include any Honda vehicles on their list of most reliable family cars, the word “Honda” shows up in a good amount of conversations surrounding all of these cars. It is likely that when people consider purchasing any of the cars listed above they also look into Honda vehicles, and presumably classify Honda as a family-friendly brand. Conversations surrounding the Mazda 5 within the past year were held mostly by women. In fact, 88% of the conversations were among women. After looking into family cars, we set out to use this social data to determine which make and model comes out on top when looking into first cars for teenagers. We started with Bankrate.com’s list of smart choices for a teen’s first car. We aimed to analyze sentiment and topics of conversation surrounding cars in the context of first cars and teenage drivers. We’re measuring whether or not people talk favorable of these models when having conversations relating to young drivers. 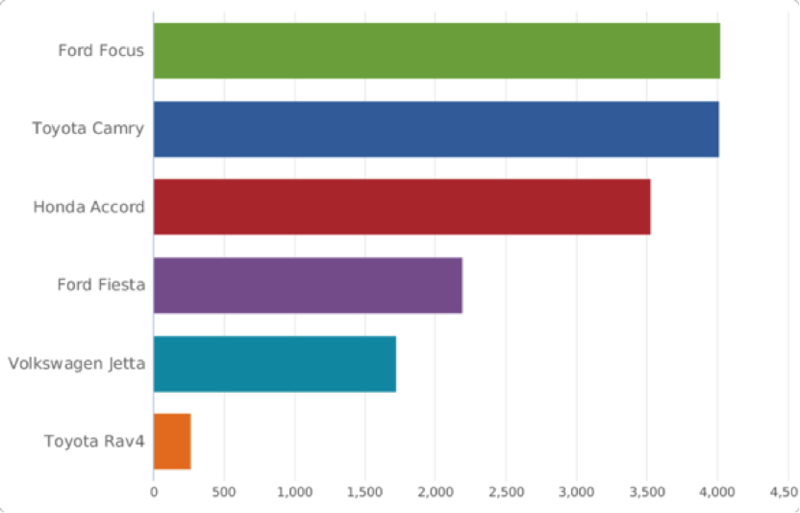 As you can see in the chart below, the car talked about most frequently in these discussions is the Ford Focus, followed closely by the Toyota Camry. Toyota’s Rav4 was discussed the least in conversations about good first cars for teens. Online conversation around all six of these cars had one common theme: price. At least 20 percent of posts around each model mentioned price. So according to this online dialog, which of these six cars give teen drivers the most bang for their buck? Forty-seven percent of chatter around the Ford Focus had to do with price, and 77 percent of those posts had positive sentiment, meaning people online seem pleased overall with the price of the Focus. At a close second, price is mentioned in 37 percent of conversations around the Volkswagen Jetta, with 84 percent being positive. 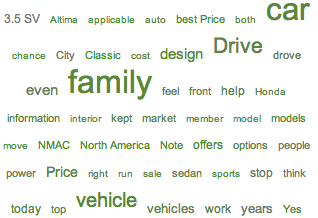 The topic cloud below shows important topics associated with the Ford Focus. As you can see, there is much more positive sentiment then negative sentiment around the car, and the topic “teens” is specifically extracted, showing its relevance. Another important discussion happening around teenagers’ first cars is about safety. 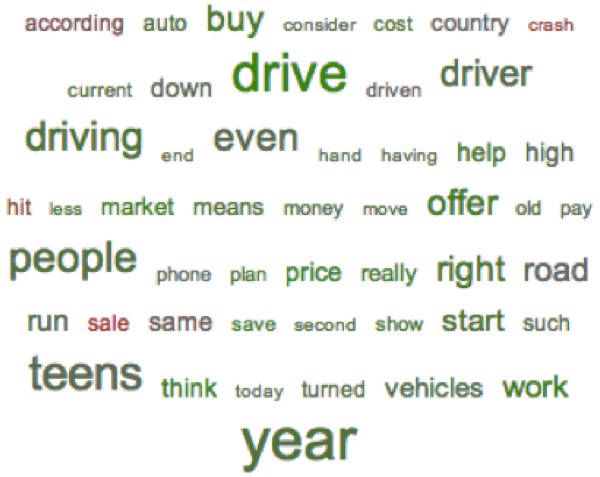 We analyzed sentiment surrounding cars in the context of safety to see which cars were being talked about positively. The Ford Focus and Toyota Camry were the top picks for safety, with 39 percent and 32 percent of dialog mentioning safety. 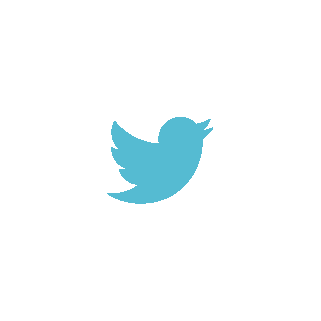 Social media research is a great resource to get an inside look into what consumers are saying about certain brands. 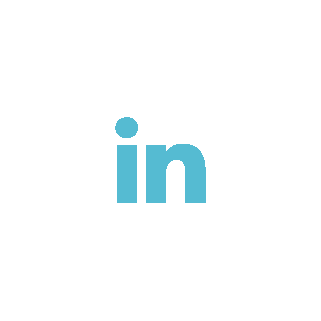 By using Social Radar, we can sift through the massive amount of online dialog and pick out the key phrases and topics that are associated with each make and model. Data like this is not limited to automobiles, it can be used for virtually anything as the volume of online data continues to grow.